Kettle and Keg in Khar has an extensive range of tea, tisanes and coffee options and their desserts are to die for. 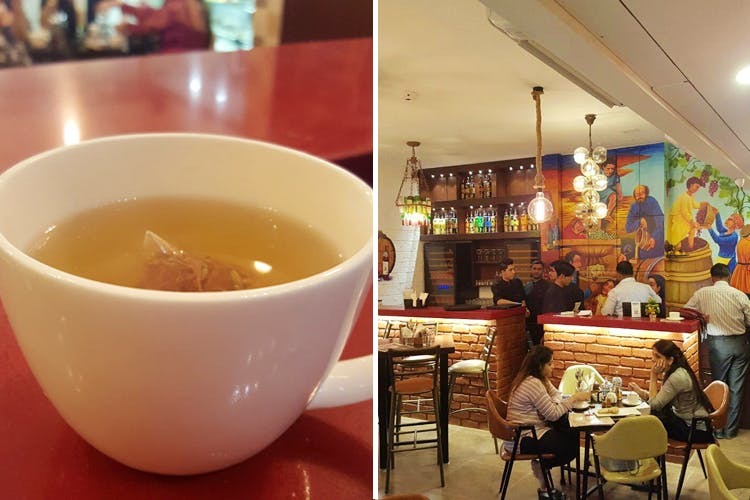 Hidden in the by-lanes of Khar, this new eatery is brewing some delicious chai lattes and the cinnamon flavoured is our favourite. Wake up your senses with the incredible aroma and flavours of this delight and then surprise them with the intense tiramisu. The restaurant serves delicious food and their desserts are making heads turn! Pick the tiramisu or the Philadelphia cheesecake and we are sure you will love it! Cheat on your diet this weekend with the toothsome desserts at Kettle & Keg while you enjoy the cozy ambiance and soothing music.